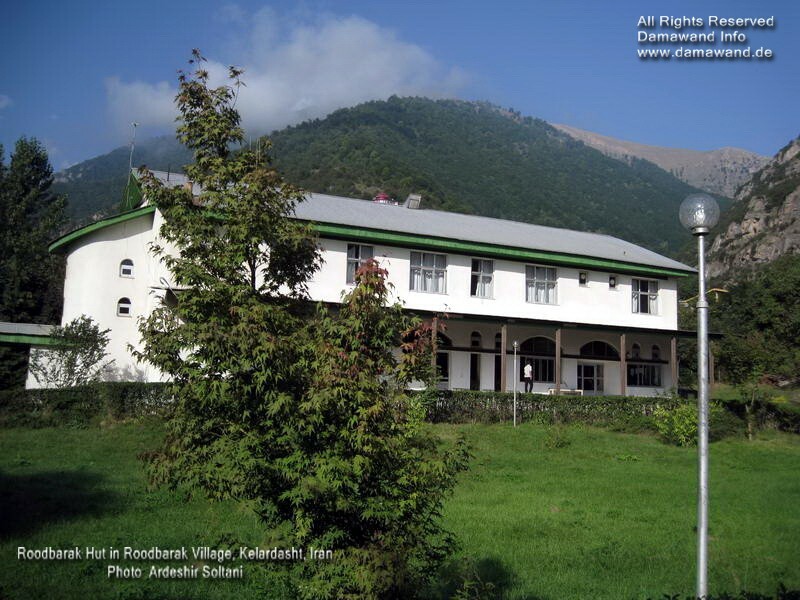 Alam Kooh (علم‌ کوه) is located in Mazandaran province, Iran. It is a gigantic rocky mountain in the middle of Takht-e-Soleiman Massif in the hart of Alborz Mountain Range in Iran. 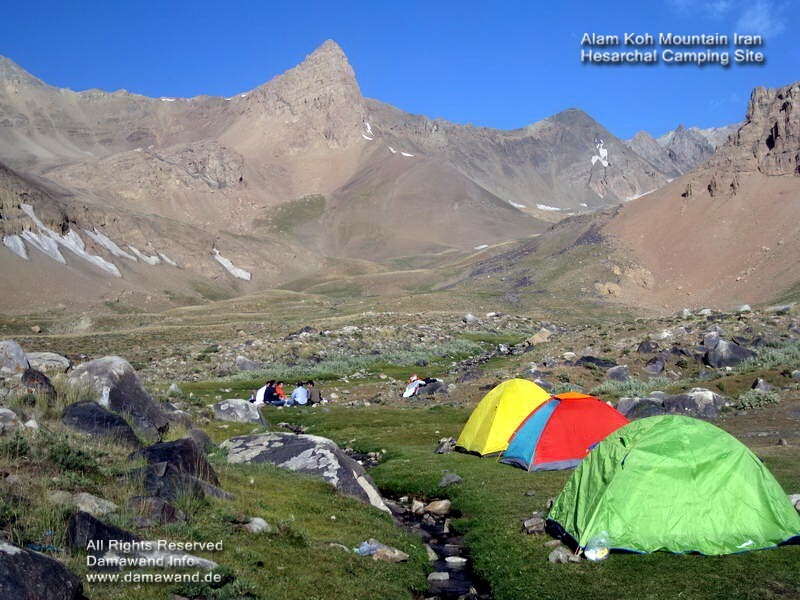 The height of Alam Kuh is 4850 meter above sea level and it is the tallest summit of Takht Soleiman mountains and the 2nd highest summit in Iran after Damavand. As a matter of fact Alam Koh (also called Mount Alam) is the highest granite/rocky (none volcanic) mountain in Iran. The highest volcanic summit in Iran is Volcano Damavand 5671 masl and the second highest volcanic peak is Volcano Sabalan 4811 m.
Alam Kouh has many routes for trekking and rock climbing. Two of these routes are popular for hiking & trekking. These favorite routes are Hesarchal trail on the South and Sarchal-Alamchal track on the North Face of the mountain. The South face is the most popular side of the Alam-Kooh with excellent mountain views. Most trekkers prefer to hike from the South route, Hesar-Chal. Takht Soleyman Massif (in Farsi: گرانکوه تخت سليمان – رشته کوه تخت سلیمان‎) is located in the middle of Alborz mountains, in fact it is a sub-range of Alborz. There are about 160 peaks higher than 4000m, the highest, most famous, and most technical one is Alam Kuh, 4850m. There are some big glacier around AlamKooh. Alamchal glacier, north – start from about 4200m. Khersan glacier, south between Alam Kooh, Khersan and Marjikesh. Marjikesh glacier, south between Marjikesh and Siahsang. In Farsi alam means flag and Kooh means mountain. Alam-Kuh, Alam-Kooh, Alamkouh, Alamkoh, Alamkuh, Alamkooh, Alam kouh, Mount Alam. Tehran – Karaj (by high way) – Chalous Road – Marzanabad Junction – Kelardasht – Roodbarak – Vandarbon. Chalous City – Chalous Road – Marzanabad Junction – Kelardasht – Roodbarak – Vandarbon. Alam-Kuh (also called Mount Alam) giant rocky mountain. Second highest peak of Iran after Mount Damavand. Altitude of Alam Koh is 4850 masl. Hart of Takht-e Suleyman Massif Sub-range of central Alborz Mounin Iran. Located in Kelardasht District of Mazandaran Province in north of Iran. Trekking Alam Kouh in winter season. 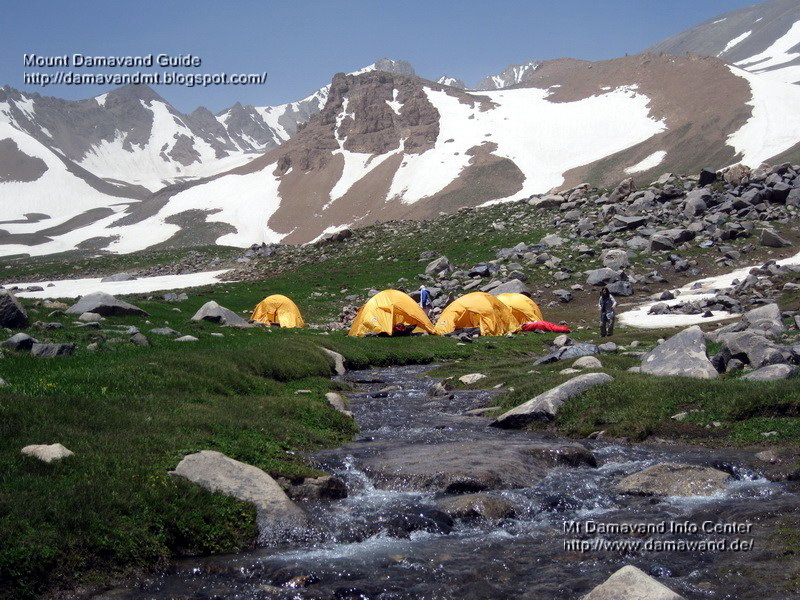 Hiking Alam Kooh and Damavand in summer season. How to Climb Alam Kooh from South Route. Shelter/refuge on the south and north face of the mountain. Tent for camping in Hesarchal area. Hesar-Chal via Marjikesh trail normal route of Alam mountain. Alamkouh summit and Shakhak peaks. Ascent to the summit of Alamkouh mountain. 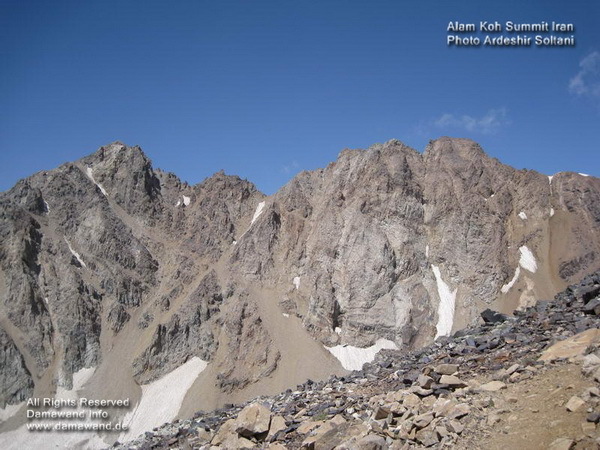 Alamkooh mountain climbing grade of south route is Class III. Alamkouh south none technical and no struggling with rocks. Summer season Hesarchal route easily accessible. Drive by a 4WD car from Vandarbon to Tang-Galou. Mild slops reach Hesarchal camping area. Alam kooh and Mt Damavand Trekking South Route Map. Alamkouh hiking north face GPS track and trail. North face of Alam-kuh shelter called Sarchal refuge. Old shelter called Alamchal refuge. Siah Sangha (black stones) easiest route to Alamkouh peak. Ascend from north side of Alam-Kuh. Ascend from Alam-Chal Glacier to Siahsang pass. Trek to Siah Sang Peak 4600m. Bypass the Shakhak peak and reach the Alam Kooh summit. Tehran to Caspian Sea Road Map Either by Chalous Road or Haraz Road. Rock Climbing north face of the Alam Mountain. Famous vertical granite wall rises up about 600m to lam kooh summit. Alam kouh wall the tallest wall of Iran. Alam-Kooh wall for rock climbing. AlamKoh Difficulty and Climbing Grade. Southern Slopes: Steep covered with boulders, scree, glaciers. North Routes (wall) of Alam-Kooh Class five high altitude technical climbs, hard struggling with rock, ice and rock falls. Alam-Kooh South Routes in Summer easy class three climbs. All AlamKoh Routes in Winter Difficult and technical, high avalanche risk and rock falls.